phone or tablet and receive notifications when your tank is running low. Before Alice, you had to make regular trips down to the basement to check your oil level. Maybe your tank is located in a difficult-to-access crawl space or accessible only through an outdoor bulkhead. Or maybe you’re managing a home from afar. Now you can get the information you need with just one tap and avoid an unexpected empty tank in the face of severe winter weather or a house full of guests. 1. 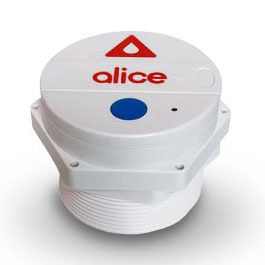 Install the Alice gauge on your tank in less than 5 minutes. No professional installation or special tools required. 2. 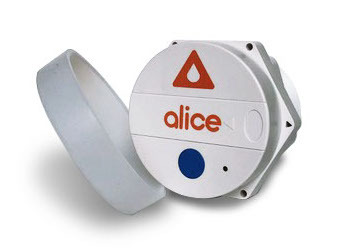 Download the Alice app and connect your gauge ID to your app account. 3. Get notified when your tank is running low, or check your tank level on the app whenever you want. Use the Alice Metrics App to see how much oil you have in your tank on your phone or iPad. A small footnote: where did the Alice company name come from? No, it has nothing to do with Alice in Wonderland, or going down the "tank" hole. 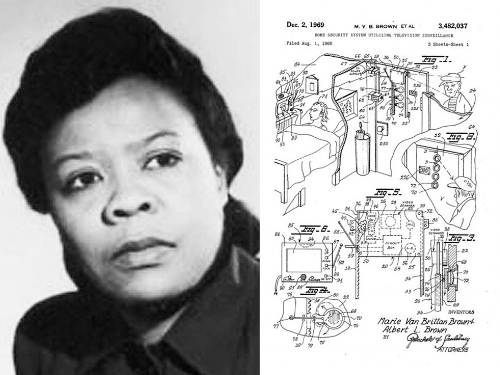 Alice is named to honor Alice Parker, an unsung African American woman who received a patent in 1919 for the design of a gas fired central heating furnace. Her design was the first to use natural gas as a household fuel and changed the way millions of people heat their home but, unlike Mr. Willis Carrier and Mr. Dave Lennox, she has no company in her name and has received no popular credit for her invention. She has nearly vanished in history. We are proud to honor her work by naming our device after her.